Fidel Castro, the leader of the Cuban revolution and president of the Caribbean communist outpost, today announced that he would be stepping down to pursue other opportunities. Sources close to the legendary firebrand communist say that Fidel feels that Cuba has grown weak and almost bourgeois, having not been invaded by the US for over 40 years. Mr Castro has said that he is keen to get straight to work at Northern Rock, and will focus initially on revitalising a brand that has lost a great deal of it's credibility in recent months. 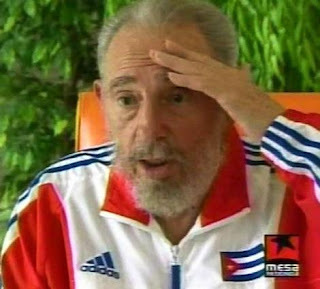 Insiders within the Cuban regime said that Fidel had been planning his move to Tyneside for some time, indeed for the last 18 months he has only been seen wearing a tracksuit having signed on sick to avoid work. Aye, sounds a cannae idea now that all the banks wuz owned by Brown like.